So. Good. I've become a big fan of LifeTimes's Life's Basics Plant Protein. Now, I can only attest to the taste of the chocolate, since I haven't tried the vanilla, but it is fantastic. The formula is vegan, yay! and does no contain yeast, corn, soy, gluten, wheat, milk, egg, whey or any artificial ingredients or preservatives. 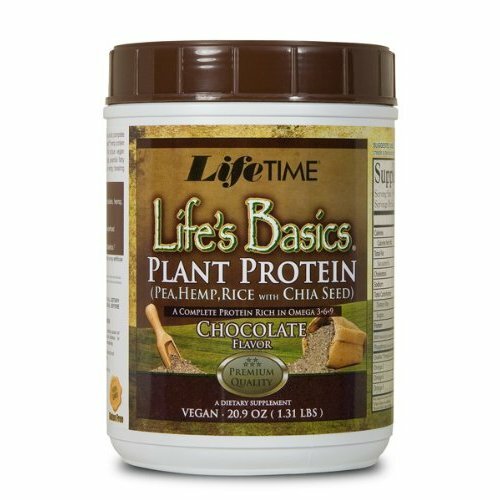 The major components of the formula appear to be pea protein isolate, rice protein concentrate, organic manitoba harvest hemp protein, and chia powder. I know what all of these are except, really, for chia powder, which I've heard mentioned but have never looked into. Apparently chia was a staple crop in ancient south America and is making a comeback in the health food industry, except the hype actually seems warranted. Chia is high in protein and fiber and also contains the essential minerals phosphorus, manganese, calcium, potassium and sodium. 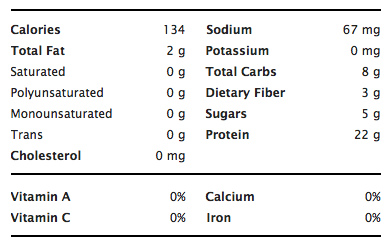 So it's a little bit higher in calories and sugar than the ThinBerry OptiCurb Powder, but also higher in protein. And, although I can't find an easy to read chart of the additional nutritional information, one of Life's Basics Plant Proteins claims to fame is the fact that it is also very high in omega 3-6-9 essential fatty acids, amino acids. Most of the negative reviews for this product have to do with taste and texture, personally I didn't have a problem with either one. Regarding the taste, I did not mix the plant protein with water or juice, as the directions suggested, instead I used either coconut milk or almond milk protein plus (my new favorite thing, as it adds an additional 5 grams of protein). I found the taste to be delicious, much like a chocolate malt milkshake. I really don't understand the criticism of the taste at all. As for the texture can be a bit gritty, but I've found one way that totally eliminates this. The way that gives you the richest, smoothest shake is to throw it all into the blender with a frozen banana. This creates a wonderfully smooth texture, almost like cake batter (but yeah, doesn't taste like cake batter, sorry). I've also been throwing half scoops into other shakes, and find it to be very versatile. The price isn't that bad either, I got a 1.31lb container for about $17.50 off of amazon, which equates to about $0.91 per serving. I hope to try out other flavors and LifeTime products in the future.